You are here: Home » How To Guides » Old A1WebStats System Guides » How to analyse entries to a specific page (and where they go afterwards). What pages do people land on within your website? What brought people to land on those pages? Where did they go after landing? Whether or not those visitors are identifiable as companies, it’s useful for you to gain insights into the pages people land on, and where they go afterwards. This may help you to gain insights into search engine visibility (e.g. which pages are strong landing points from organic Google positioning), from paid advertising visibility (e.g. what happens to your Google Adwords visitors after landing), and more (e.g. traffic entering your website via certain pages, having come from an online directory). You may be thinking “I can see landing pages in Google Analytics”. True, but what you can’t see from Google Analytics are the paths people took after landing on those pages, for each individual visitor. With A1WebStats you can. From the Dashboard select a date range (using the date picker tool on the top right), within which you want to gain insights into website entry pages). Select ‘Entry Pages’ after hovering over ‘Pages’ in the main navigation bar. Entry page data will be shown, based on the date range you have selected. This includes a column showing the number of visitors who entered your website via each entry page within that date range. 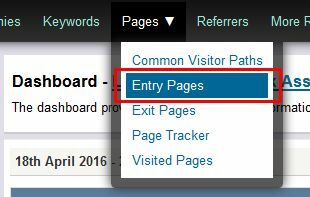 If you want to gain insights into only a certain type of entry page, you can use the ‘Page URL Search’ box on the top-left of the screen. 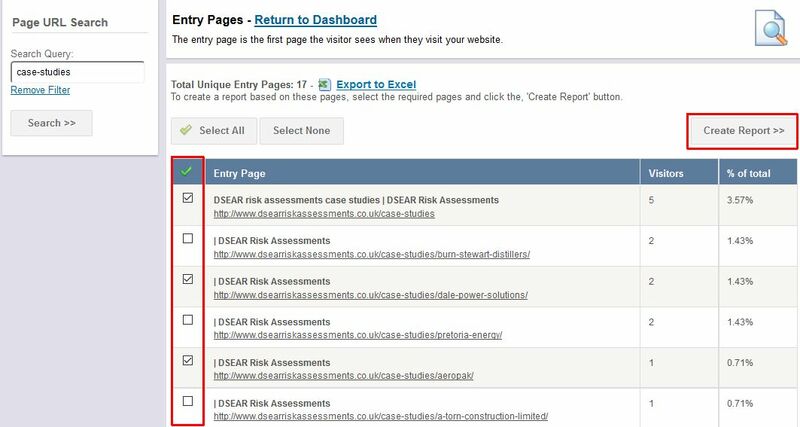 In the example below, you can see we’ve entered case-studies and have clicked on ‘Search’ which has filtered the entry pages data to show only visitors who landed on pages that had case-studies in the url. 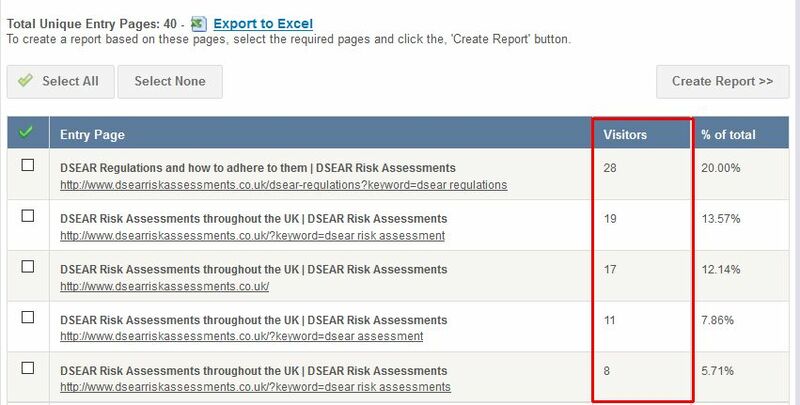 When you have got your entry pages data in summary form, you can then dig deeper into areas of interest by clicking in the box to the left of the entry page(s) of interest and then clicking ‘Create Report’ as shown in the example below. How they navigated through your website page by page. Although it can take time, you can gain great insights by analysing the visitors, starting from their entry page and onto their overall website pages journey. This will often uncover negative patterns which can be rectified through strengthening the website (not just the entry pages) and the ways in which it’s made visible online. Also useful is for you to scan down the initial summary list of entry pages, identifying pages that have few people land on them. Those may be pages where you want to raise the online visibility, especially if you don’t see those pages appear prominently within organic Google search results when you type relevant search phrases.